Bars aren’t just there to get us drunk, you know. They’re often home to some of the nation’s (and the world’s) top music performers, from rockers to rappers to country singers. Of course, finding the right bar at the right time can be difficult, especially when you’re trying to have a smooth night out, which is why you should have a look at our modest yet inclusive list of San Antonio’s top live music bars. Liberty Bar: Not one for bars so crowded that shoving people becomes a way of saying “Hello” and so loud that your eardrums will bleed, be it from joy or anguish? Consider Liberty Bar as your alternative resort during any time of the week. The bar could perhaps better be described as a ‘lounge’ – relaxing music, great food and a calm atmosphere definitely set it apart from most other music venues in the city. 502: It’s clear that the owners of 502 have music in their hearts as well as their minds. If this wasn’t the case, they wouldn’t have invested into what’s perhaps the best sound system – together with a top-notch technical crew – of any bar in the entire state. While this might seem like a cause of the aforementioned eardrum bleeds, you can still time your visit to a night when a gentler performer takes the stage. Luna: Is class your thing? Luna is among the classier music joints in the city – so classy, in fact, that referring to it as a ‘joint’ just doesn’t seem right. Don’t come here dressed like a gang member or lacking certain clothing accessories, and you’ll be greeted to upcoming and established artists alternating between jazz, flamenco and lively dance music. The year-round classiness of the place becomes even more awe-inspiring when one considers that the venue changes its appearance to fit each and every music performer and their respective genre. Azuca Nuevo Latino: As you might have guessed from the name, Azuca Nuevo is a regular home to all sorts of talented Latin musicians, from reggaeton bad boys to dance bands. One thing never changes, though: the lively atmosphere that is almost sure to get you dancing in no time unless you’re dealing with some nasty foot cramps. When you’re taking a break from showing off your moves, you can further explore the rich Latin culture by sampling the many native drinks and dishes offered on-site. The Cove: Are you one of those people who will find even the smallest and quietest music venue too much? Consider giving The Cove a try and prepare to have your beliefs over what music venues are questioned. The presence of laundry and car washing machinery almost seems to send a message that the owner feels every patron is a member of the family – you won’t worry about appearances when you’re spending time with family, right? Clearly, their extremely unorthodox approach works as The Cove is one of the top-ranked places in the city for anyone wanting to witness some ‘quieter’ live music performances. Learning a musical instrument is about as good of a way to spend your time as any. For one, you’ll have a skill that’s never going to go out of style – you’ll have no trouble impressing friends and family with your performances far into the future. There’s also the benefit of being able to express yourself in one of the most ear-pleasing ways possible. Feeling blue? Play something in tune with your heart’s mellow state. Getting jolly? Use your instrument of choice to spread the bug of happiness to everyone around you. Perhaps best of all is the fact that playing an instrument is a self-sustaining hobby: past the initial acquisition of the instrument itself (which can admittedly be pricey), the only thing you’re likely to spend as time goes by are nerves. This all sounds great, so why aren’t more people playing musical instruments? Simple: it’s hard. So hard, in fact, that many will quit in the first month without ever looking back, preferring to slash through hordes of bad guys in a video game or pump their muscles in a gym during their leisure time. To help you avoid becoming one of the quitters, here are some ways through which you can learn to play a musical instrument and continue learning for years to come. Thanks to the popularity of the internet, online courses are now every bit as commonplace as real life ones. Of course, learning your trade on the internet has a couple of benefits over real-life classes: the focus is on you and only you and you’re able to progress at your own pace rather than feeling rushed or dragged down because of others. Online courses will also teach you some of the more refined aspects of playing an instrument, such as reading notes or understanding musical theory (as long as you can find the right course, that is). No matter if you’re using a free or paid-for version, you’ll be able to learn as much as you’d like and whenever suits you best, which is invaluable in today’s hectic world. While rarely as all-inclusive as an actual course, YouTube videos teaching you to play an instrument will engage you on a more personal level and might make you feel as close to having an actual teacher as you can get without actually paying for one. Thanks to the site’s popularity, there are hundreds of musicians playing dozens of instruments, all sharing their knowledge and expertise to a worldwide audience free of charge. Many of them received a classical education in music, so you’ll know you’re learning from someone worth his salt – while they might not teach you everything there is to know, they’ll get you playing good without making you leave your favorite chair or sofa. Doesn’t get much better than this, does it? There’s no way to learn a musical instrument that comes close to the effectiveness of having your own ‘trainer’ work with you every step of the way. Every class will greatly increase your skill and you’ll improve leaps and bounds over any hobbyist using the aforementioned methods of learning. If you picked the right instructor, you’ll also get to learn from someone who caters to your needs and answers any question you might have in a friendly, down-to-Earth manner. There’s just one little downside: the price. Instructors generally charge on a per-hour or half-hour basis, be it in real life or over a video call, and you’ll quickly rack up the bills if you’re trying to become the best possible performer you can be in a short amount of time. Still, if you’re obsessed with an instrument and are sure it’s your passion, this is one of the most constructive ways of treating yourself that you’ll ever come across. Sure, everyone likes Taylor Swift, Rihanna or Justin Bieber (bear with us here). They’re not short on talent, but they also enjoy all the promotion and big record label money that one could hope for, leading to them getting worldwide recognition and commanding an almost divine influence over people. But what about musicians that haven’t yet caught their lucky break and are still struggling for recognition? Some might just be starting out, others might not have yet found a good manager or label that will propel them while others still may not have the option of going full-time with their popularity suffering as a result. Whichever the case, everyone should make a point of supporting at least a couple of upcoming music artists aside from the usual platinum sellers – the ‘smaller’ musicians need all the recognition they can get, and every listener counts. Here are 3 of the country’s top upcoming music artists, each of them singing some great tunes on their way to that big break every musician dreams of. Kyle: A rapper like very few others, Kyle Harvey doesn’t spend too much time waving his ‘bands’ and showing off how tough he is. Instead, his music is meant to relax the listener and put them in a good mood for a while to come. Having grown up in California, Kyle’s love of the beach shows in every aspect of his singing, from making music that is most at home in a beach bar to surfing over his audience during live performances (really). Making him stand out from the crowd even further, Kyle is unique in that he connects with fans on a very personal level, offering to support them back just as readily as they support him. Kelsea Ballerini: Speaking of Taylor Swift, did you know she once played exclusively country before she was ‘encouraged’ to make something more appealing to the masses on her way to that billion-view music video? Well, Kelsea Ballerini almost seems like Taylor’s younger sister that kept playing country in her big sis’ shadow: blonde, beautiful and with all the talent needed to make it in the biz and then some. Kelsea isn’t nearly as ‘upcoming’ as many other fresh musicians – she’s already gained a bit of recognition despite being only 22 years old. Regardless, it wouldn’t be a stretch to say that she still isn’t on the general public’s radar and there are likely quite a few country music lovers unfamiliar with her, so make sure to check her out if smooth female vocals are your thing. Highly Suspect: There’s nothing suspect about Highly Suspect’s electrifying music, and you’re sure to agree with us after listening to just a couple of their tracks. These guys are true rockers and aren’t afraid to show it every step of the way, from an uncompromising theme to each of their songs to live performances that are as improvised as one could imagine. For a band that loves putting their guitars through a hurting, though, Highly Suspect have a couple of mellow tracks (as mellow as hard rock can get, that is) that will appeal to the banging audience’s softer side. The band members have a healthy dose of ambition, and there’s no reason why they shouldn’t fulfill it so long as they stay true to themselves. Playing that record is all good and well, but sometimes, nothing other than a live performance will cut it. Listening to live music isn’t just an engaging social activity that offers a unique setting and the opportunity to meet new people – it’s also a way of supporting the musicians, many of whom are still coming up and could use every fresh face in attendance they can get. 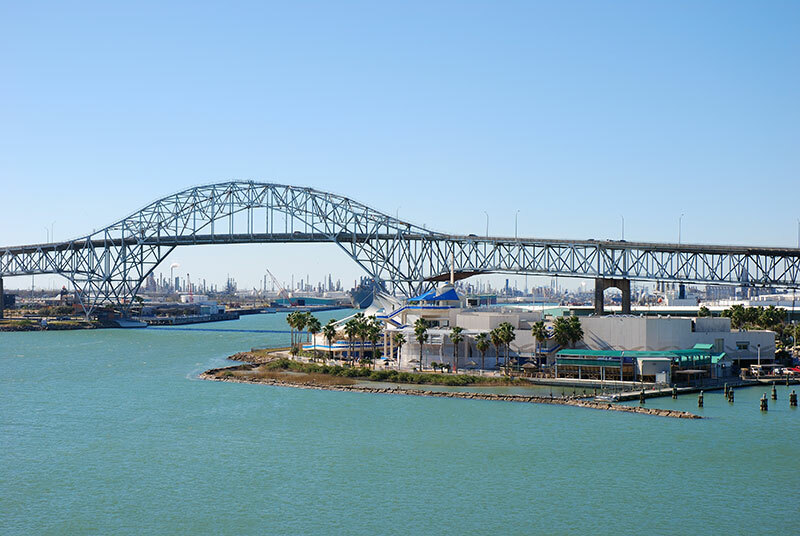 To help you navigate Corpus Christi’s busy streets and figure out the spots most worth visiting, here are some of the best places for live music you can find anywhere in the city. Boneshakers: If you’re not much for contemporary music culture, Boneshakers is sure to come off as an inviting venue. Featuring a fairly strict dress code and a very particular type of music that bounces back and forth between metal and classics, Boneshakers maintains a classy atmosphere in a time when this can seem like an impossible task. Sure enough, it doesn’t hurt that the place regularly features drinks specials that’ll have you sipping on quality beer and liquor for no more than $4 a glass. Cole Park: Unlike most other spots that could be called music venues, Cole Park creates a location like no other by effortlessly combining several fun places: a kids’ playground, a recreation park, a beach and a musical stage. If you have your own family with one or more energetic kids always jumping around and getting physical, you’ll definitely value Cole Park – day and night, it’s a great spot to bring your kids to. Speaking of nights, some of the best concerts you can find happen on Thursday evenings and the attendance is oftentimes free, so be sure to make space in your schedule to visit this park sometime. House of Rock: True to its name, the House of Rock is frequently home to some of the most amazing rock performances you’ll find anywhere in the city. Like many other rock venues, the House can get very loud and wild, so you better be ready to party if you’re going there to listen to a live performer. This ain’t no Cole Park, so you definitely won’t want your kids tagging along – among other things, the House is known for its terrific drink specials that will get you tipsy before you’ve even run out of change. From fresh pizzas to cheap yet quality drinks to great musicians, you’ll find something to your liking here no matter the day of the week. Concrete Street Amphitheater: You wouldn’t expect a pure music venue to disappoint in terms of live music, and you’d be right: in the past, the Amphitheater acted as a tour stop for a staggering amount of bands and musicians of immense variety and will continue doing so for the foreseeable future. From heavy metal aces all the way to our beloved country singers and from relative unknowns to world-renowned artists, one thing about Concrete Street Amphitheater performers never changes: the concerts they throw in this venue are among the best in the entire state.